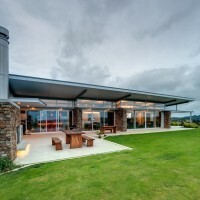 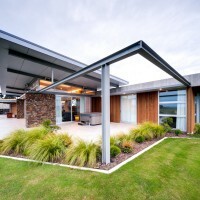 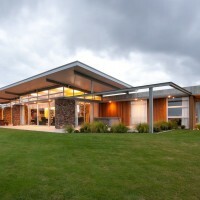 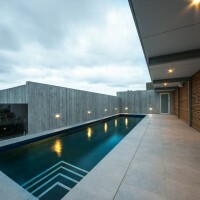 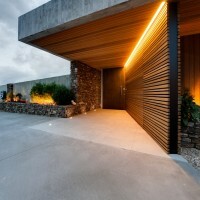 Bossley Architects have designed the Okura House in Auckland, New Zealand. 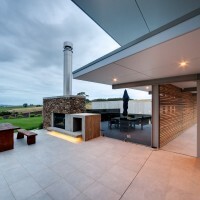 Two separate buildings, linked by screens and lightweight roof, define the entry and pool area and help minimise the overall visual bulk. 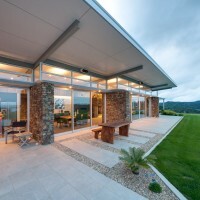 The main living wing has a central section of concrete walls and earth roof to replicate the original ridge when viewed from afar. 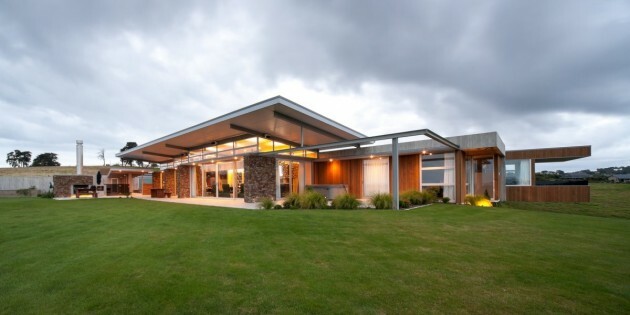 From this ‘grounded’ element radiate the floating roof over the living areas, and a separate bedroom wing which cantilevers dramatically over the falling land.